On December 19, 2016, more than 7,000 Americans from all 50 states and the District of Columbia converged on their state capitols in an unprecedented act of national protest to an incoming president. 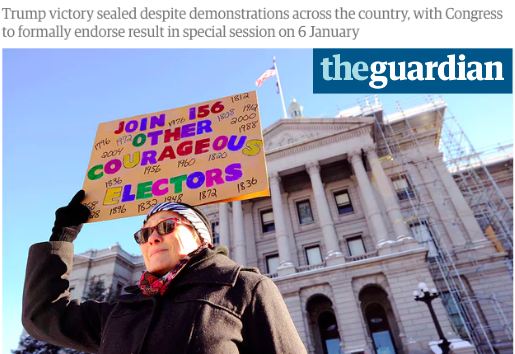 There has never been a 50-state-wide protest of the Electoral College vote to contest an election result's legitimacy and defend our democracy. The action got HUGE media coverage and made it clear that Donald Trump does not represent the will of the people. Tragically but unsurprisingly, only two Republican Electors had the courage to vote against Trump in the face of threats and intimidation. He will be the next president of the United States. But make no mistake: on December 19, we showed the nation that Trump is going to limp into office without a mandate, without majority public support, and with a growing movement arrayed against his administration's regressive agenda. We lifted up the issues of voter suppression, the extreme inequality of Electoral College system, and Russian interference in our election into the media spotlight. We demonstrated that Trump's presidential victory is both illegitimate and the most undemocratic in modern American history. We were not able to stop Trump, but we deeply undermined his legitimacy and mandate. While any Trump victory is hard to stomach, we at the December19 coalition feel incredibly proud of everything we've accomplished together. Hundreds of volunteer organizers and thousands of grassroots activists like you stepped up very quickly to make this historic day of action a reality. Thank you for your dedication, your passion, your creativity, and your hard work. None of this would have been possible without it. Going forward, the four organizations of the December19 coalition will continue to collaborate as much as we can, we but we will no longer maintain a formal partnership. Therefore, we want to use this opportunity to share something about each organization and give you the chance to get involved. In the days to come, you will hear from each of us about the next steps we'll take to keep up the fight in these very challenging times. Americans Take Action: a network of populists who believe that the American government should represent we the people once again, that the economy should work for all of us, and that the internet should remain free and open for generations to come. 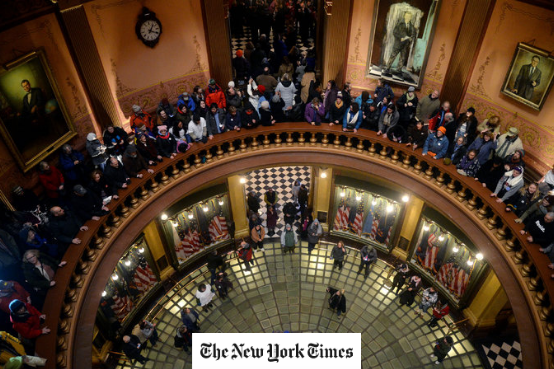 Democracy Spring: a movement organization committed to ending the corruption of big money in politics and protecting the right to vote for all Americans through a national strategy of nonviolent civil resistance, rooted in local teams. 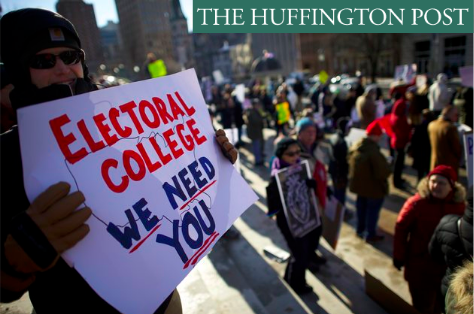 Electoral College Petition: the largest petition in Change.org history. More than 4.9 million people have signed on to ask the Electors to vote their conscience, and vote against Donald Trump. Progressive Change Campaign Committee: a national grassroots organization finding and training progressives to run for office, helping progressives unite around bold messaging, holding Trump and members of Congress accountable, and highlighting the voices of Trump voters who realize Trump betrayed them. One of the most powerful things about 2016 and the December19 campaign was just how many people are getting involved in politics for the first time. We urge you to stay involved with one or more of the December19 coalition partners so that together our movement to defend democracy and defy Trump will thrive in the months and years ahead. The D19 Slack team and Facebook event pages are shared resources of the coalition. They will remain live and online as spaces for future collaboration between grassroots activists and for coalition organizations to present opportunities for future engagement. We are compiling a running list of media hits from December 19. Click here to view the list. Please note that this is not a comprehensive resource. If you have press hits you'd like to add, please post them in the #press channel in Slack. We are compiling photos from December 19 protests. Click here to view the photo catalogue. Please note that this is not a comprehensive resource. If you have photos you'd like to share, please post them to your state's Slack channel or email hello@democracyspring.org with the subject line, "PHOTOS - STATE". Thank you once more for being part of this historic action to stand up against a truly dangerous president-elect. Together, we've demonstrated that We the People are ready to organize and mobilize to defend our democracy and fight for our future.